The club has an interesting history that goes back many years with Dale Keogh (originally of Castle Hill RSL Club) and Ivor Endicott-Davies playing key roles in its establishment and growth. Both Dale and Ivor are senior members of the Australian Judo family and Life Members of Budokan. We are fortunate to have Dale still so actively involved in the club’s training activities. In later years with Ivor’s work commitments taking him overseas, the club relied on the enthusiasm of Morgan Endicott-Davies, who had the arduous task of keeping the club together whilst trying to establish himself at National representational status. To these 3 champions of the Club, we owe a great debt and we acknowledge their contribution to the Club’s history. Moving back to Sydney after 4 years away in Melbourne, Kerrye and Rob Katz did not stay away from the Judo scene for long. Ivor and Morgan approached them to co-ordinate training activities at the Club, and by 1999, their involvement in the club saw them co-ordinating the 2 sessions (Tuesday and Thursday). This soon expanded to a Thursday Juniors and Beginners class, with the able assistance of Barbara Stratford, formerly from Queensland and then NT. Morgan progressed and together with Jessica Malone, became the club's first Olympic Games representatives, to the 2004 Athens Olympic Games. Both these athletes subsequently started their own Judo clubs. In September 2000, the club membership had doubled its 1999 membership to 25. It grew to 73 by the end of 2001, 86 as at November 2002, 110 in 2009 and with steady growth to over 170 in 2017. We now run 11 sessions per week for ages 3 to 4, 5 to 8, 9 to 15, and over 15, plus beginner Senior classes, and with an elite athlete program. In 2003 the club ran its first “Come & Try” Course for senior adults including parents of current members. We still have a number of active parents who now compete in tournaments. The aim has been to separate classes into skill and age groups enabling a better service to be provided to all Club members. Budokan members regularly visit other clubs, and similarly we have regular visitors from a number of clubs in Sydney. In the past 10 years, we have been visited on numerous occasions by students from a Japanese (Saitama) Judo Club under club coach Norio Kasahara, 2 different clubs from New Caledonia, 1997 World Champion medallist Anja von Rekowski who stayed with us for 2 months, and Budokan Madrid Coach Juan Emilio Fuentes, who also stayed with the club for some months. We also have regular exchange visits with a number of local clubs. With new training partners, members will be further challenged and diversify their technical base and competitiveness. Budokan looks forward to working closely with its Dojo partners, Brazilian Ju Jitsu Club, and also Makotokan Aikido Club, for mutual growth and development. With almost 100 years of Judo between them and promoted to 5th Dan during 2012, Rob and Kerrye Katz were competitors of some merit in their younger days. Rob medalled at most Nationals between 1982 and 1992 with numerous National Team representations and has trained extensively in Europe and Japan, the longest period being 7 months in 1982. Kerrye’s outstanding competition record includes 11 National titles, and representation at 5 World Championships and the 1988 Olympic Games. Her best performances are 2nd in Pacific Rim and 7th in the Open at 1987 Worlds. They both have extensive coaching backgrounds - between them, since 1984 they have coached clubs in 3 States and State teams in both NSW and Victoria; in all, 8 Junior teams, 4 Young Womens teams, 4 Womens teams, and 4 Mens teams. At National level, Kerrye coached Womens teams to 1995 Pacific Rim, 1997 Worlds, 2001 East Asian Games, Junior Women to 2002 Oceania, and was coach to the 2013 Youth Olympic Games and 2015 Junior World Championships. Similarly, Rob coached the National Women’s Team to the 1987 Worlds, 1988 Oceania and 1988 Olympic Games, and the Men’s team to the 1997 and 2001 Worlds and was selected Men’s Coach for 2004 Pacific Rim. They declined invitations to be Shadow Coaches for the 2000 Olympics because they were both working for SOCOG and SPOC as Judo Competition management staff for the Olympics and Paralympics. Rob also coached extensively between 2013 and 2017 to Oceania Championships, Cadet and Junior World Championships, to Senior World Cups in Africa and South America and as a support Coach to the 2016 Rio Olympic Games. For many years both have been heavily involved in State Coaching Junior and Senior Teams in NSW and in running the NSW Junior Development Squad. Rob worked for SOCOG/SPOC for 13 months as the Judo Sport Services Manager, responsible for delivery of the Draw, the results systems, and the competition management systems. He was awarded the IJF Medal of Merit in Bronze for his performance. In 2002 he was selected by the OJU to attend the IJF Organisational Seminar in Cairo, Egypt. He was approached to work for the organising committee for the running of the 2002 Commonwealth Games Judo competition in Manchester, England, as well as by ATHOC for the 2004 Olympic Games Judo Competition, but declined on both occasions preferring to concentrate on family and development of the club. Rob is a retired engineer/contract manager by profession, and had a 21 year career in the RAAF, was a Procurement Manager in RailCorp and then in the Defence Materiel Organisation, has been a National Coach since 1987, has been Vice-President of the JFA NSW Board of Management and Chairman of the Sport & Technical Sub-Committee, was on the JFA Inc/EventsCorp Bid Committee for the 2005 World Championships, and is President of Budokan Judo Club. Kerrye worked for SOCOG/SPOC for 3 months as Field of Play Supervisor responsible for the flow of athletes (and all related checking processes) from the Warm-Up mat to the competition area (and back), is a Sport Science and PE/Outdoor Education graduate. She is a teacher by profession working at a school for children with special needs, has been a National Coach since 1997, was a founding member of the JFA Inc. Sport Science Advisory Committee, and was the JFA NSW NCAS Co-ordinator and NTID Coordinator for NSW for many years. She is Head NSW State Junior Coach and Secretary of Budokan. Rob and Kerrye share the role of Coaching Coordinators of Budokan. They have 2 boys, Nathan 23 (Ni Dan) and Josh 20 (Ni Dan), both of whom represented Australia at the 2016 Rio Olympic Games. Nathan has won 17 National medals, 9 of them Gold. He has also won 10 medals at Oceania, 7 of them Gold. He won Silver and Bronze medals in Asian Open (World Cup) events placed 7th at the 2015 Tokyo Grand Slam and as a Junior placed 5th in two European Cup events. He has also represented Australia at Cadet, Junior and Senior World Championships. Josh has won 15 medals at Nationals, 10 of them Gold. He has also won 11 Gold medals at Oceania Championships, a Bronze medal at the 2013 Australian Youth Olympics, a Bronze at the Senior African Open (World Cup) and a 5th place at the Pan American Open (World Cup). Rob and Kerrye are currently assisted by Budokan Assistant Coach, Dale Keogh, Life Vice-President of the club, 6th Dan, and Level 2 NCAS Coach, who has also been a National representative and a State and National Coach, as well as Andras Koltai 2nd Dan, Catherine Roach 1st Dan, Lubo Petr 5th Dan, Amber McIndoe 1st Dan, Carlo Barbarulo 1st Dan, Franz Tandean 2nd Dan, and Jarrad Cooper 1st Kyu. The Club is fortunate to have a number of other high profile senior members who, from time to time, also assist in the coaching of its members. In September 2000, Budokan had 12 (at that time, 50%) of its members involved in the running of the Sydney 2000 Olympic Games. Our membership has gown to over 90 members aged 5 to over 60 years. Since 2002 its athletes participated at every level of the competitive spectrum from every MONSter (U/10s) and RSL event, to State Selections, NSW International Open, National Titles, Oceania Championships, Commonwealth Games, US Open, Canada Cup, QINGDAO Tournament in China, Fukuoka International Women’s Ch/ship, KRA Korean Open, Jigoro Kano Cup, Junior World Championships, Senior World Championships, and the Olympic Games. In 2010, we had 19 athletes represent NSW in 25 divisions at the National Championships winning 5 Gold, 3 Silver and 7 Bronze medals. 6 of our athletes will represent Australia at the 2010 Oceania Championships and 3 of our Junior (U/20) athletes were selected to the Junior World Championships. We have a high profile at both State and National level, our coaches regularly teach at coaching clinics and our athletes participate in all available clinics, camps and competitions. 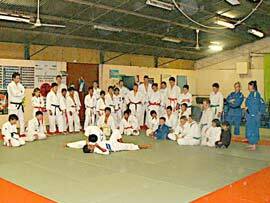 Budokan supports the ASC-sponsored (20 x 15-19 year old) National Talent Identification & development (NTID) Squad. We have always had one athlete on the Squad since it started some years ago and this year for the first time, we have two athletes on the Squad and one highly ranked reserve. In 2001, Budokan replaced its 160sqm mat area by obtaining sponsorship enabling purchase of new mats from the Olympic Games legacy. In 2009 we extended our mat area by nearly 40sqm providing a world-class 200sqm sprung mat area. Budokan has a merchandising strategy selling new Judo uniforms, various club "logo" polo shirts, tee-shirts and woolly jackets, Judo Bags, Mugs, and key rings incorporating Budokan’s popular Judo-Dinosaur logo. In 2010 we introduced "Budokan" back patches for our athletes Judo uniforms. We also run a Judo video and book free-rental library for its members, and lend out 2nd hand Judo suits. We work with the local media (The "Hills Shire Times" newspaper) to increase the club’s profile and achievements, and have an active email distribution of its news updates and a highly acclaimed website (http://www.budokan-judo-club.com/). Since 2002, we have established the club on the JFA calendar by hosting a MONSter (U/10yrs) competition at the club. In 2010, the competition was expanded to include an U/14s event and this was very successful with 80 entries. We provide education to the club's athletes in strength and conditioning training which becomes very important at the 14 to 17 year age mark. For many years, we have benefitted from visits by clubs and coaches from New Caledonia, Japan, France, Germany and Spain. We will continue to establish overseas contacts so that we can benefit from this international knowledge and also to create opportunities for our athletes to train overseas. Our 7 Sub-Committees continue to achieve significant results from technical development, to building improvements, and marketing. The club remains one of only a few in NSW which has been incorporated and other clubs have sought our assistance to achieve the same status. We continually improve our member services with high quality communications, merchandising, more training sessions, more exposure to other clubs, and a more comprehensive Club Information Kit which continues to be highly regarded by all new members and parents. We have procured a gas heater for our parents and spectators, a set of accurate scales for the athletes, a competition scoreboard, numerous crash mats, a BBQ, a TV and video player, and a digital video camera for the club’s use. We also bought a programmable training timer for use by coaches and athletes during training. With the assistance of one of our sponsors, in a shared arrangement with the Showground Society, we re-roofed the hall, providing better sealing, insulation, and effective ventilation. In 2002, we introduced sponsorship of our elite junior and senior athletes of between $50 and $150 each (totaling $1200) to support travel and accommodation costs to national and international competitions. This sponsorship has increased each year and in 2009 we sponsored our athletes to the tune of $5000. We have secured income to the club via sub-leasing arrangements with Makotokan Aikido Club and Machado Brazilian Ju Jitsu and MMA Club, and have attracted a number of sponsors enabling continuous improvement in all our activities and to the hall. See the "About" / "Achievements" tab on the homepage for detailed club achievements from 2008 onwards. The club achieved its first representative to the Junior World Championships with Janelle Shepherd placing 9th in 2002, followed by Jovan Pejic, Janelle Shepherd and Jessica Malone selected for 2004; first representative to a Senior World Championships in Jessica Malone (Morgan Endicott-Davies and Janelle Shepherd reserves) in 2003; first representative to the Commonwealth Games with Morgan Endicott-Davies 5th and Frankie Serrano 7th in 2002, and first representative to the Olympic Games with Morgan Endicott-Davies and Jessica Malone selected for Athens 2004. In 2002: Jessica Malone won 3 Gold medals at the Nationals, and Gold and Bronze at Oceania; Janelle Shepherd National Gold and Bronze Medals, Silver at Oceania, and 9th at the Junior World Championships; Frankie Serrano National Gold, Oceania Bronze, and 7th at the Commonwealth Games; Morgan Endicott-Davies National Bronze, Silver and 5th at Oceania, and 5th at the Commonwealth Games; and Julia Serrano Oceania Gold. To give an idea of our participation in competition, in 2002 our representation was: 12 athletes in the ACT Open in 15 divisions with 8 Gold, 2 Silver, and 2 Bronze medals; 14 athletes in the NSW Open in 21 divisions with 5 Gold, 4 Silver, and 3 Bronze medals; 13 athletes in the Nationals in 17 divisions with 5 Gold, 1 Silver, 4 Bronze medals; 7 athletes in the Oceania Ch/Ships in 9 divisions with 2 Gold, 2 Silver, 2 Bronze, and 2 x 5th’s; 11 athletes in the “MONSter event at Budokan,winning 2 Gold, 3 Silver, 2 Bronze medals. In 2003, 14 of our athletes qualified in 20 divisions (and competed in 18 divisions), plus the Men’s Open, winning 6 Gold and 8 Bronze medals including Nikola and Jovan Pejic who created history being the first twins to win a Nationals. In the Oceania Championships, 3 athletes competed in 4 divisions resulting in 1 Gold, 1 Silver and 3 Bronze medals In the Senior Oceania Championships the same year, the club won: 1 Gold, 1 Silver and 3 Bronze medals. Jessica Malone represented Australia at the 2003 World Championships with Morgan Endicott-Davies and Janelle Shepherd were reserves. Jessica also represented at the USA Open achieving a Bronze Medal, a fantastic result in international senior competition at 16 years of age. She was also selected for a trio of events representing at the Qing Dao International in China, the KRA Cup in Korea, and the Fukuoka Cup in Japan. Morgan, Janelle, Yvonne, and Daniel also represented at the US Open with a number of matches being won albeit no other medals. Yvonne and Daniel also backed up for the Rendezvous Competition in Canada. The club attended almost 20 tournaments in NSW alone as well as the ACT Open and the Victorian International Open. We attended the Illawarra training camp, National Training Camps at the AIS, and NCAS and referee courses. In 2004: The club had 8 of its athletes represent Australia in the 2004 Oceania Judo Union (OJU) Championships in New Caledonia; 6 athletes represented in Junior (U/20yrs) divisions, with 2 backing up in Senior divisions plus an additional 2 athletes for a total of 4 Senior Divisions represented with Jessica Malone (1st Jnr Women, 1st Jnr Women Open, 1st Snr Women); Janelle Shepherd (1st Jnr Women, 3rd Snr Women); Jovan Pejic (3rd Jnr Men); Nikola Pejic (5th Jnr Men); Chelisa Chester (3rd Snr Women); Morgan Endicott-Davies (1st Snr Men). At the 2004 Nationals, our 20 athletes competed in 26 divisions, plus the Men’s and Women’s Open. With the U/13 year age division being introduced at the Nationals for the first time that year, we had the opportunity to add 5 athletes to our team, the youngest being Nathan Katz at 9 years old. The result was a fantastic 6 Gold Medals, 5 Silver Medals, 9 Bronze Medals, and 3 x 5th placings. Senior Nationals: Jessica Malone 1st , Janelle Shepherd 3rd , Nikola Pejic 3rd , Chelisa Chester 3rd and 2nd (Open), Yvonne Mitchell 1st, Chad Trethowan 3rd, Daniel Mitchell 5th, Morgan Endicott-Davies 1st; Junior U/20yrs Men and Women Nationals: Patrick Waite 2nd , Jessica Malone 1st , Janelle Shepherd 1st, Nikola Pejic 3rd, Jovan Pejic 1st; Junior U/16 Boys/Girls Nationals: Nik Zellner 3rd, Alex Snoek 5th, Ben Zellner 5th; Junior Boys/Girls U/13 Nationals: Kevin Da Silva 2nd, Shaun McDougall 3rd, Nik Zellner 2nd. The 2 Golds in the OJU Senior Divisions secured Olympic Team selection for Jessica Malone and Morgan Endicott-Davies. The 2 Golds and Bronze in the OJU Junior Divisions for Jessica Malone, Janelle Shepherd and Jovan Pejic, respectively, as well as their National Title Gold medals secured their selection to the 2004 Junior World Championships. In 2005, Budokan took 19 athletes to the Nationals. Competing in 24 Divisions, they won 8 Gold, 4 Silver and 3 Bronze medals, with 3 athletes fighting for Bronze (5th place), a feat not repeated until the 2012 Nationals. In 2006, Budokan took 18 athletes to the Nationals. Competing in 20 Divisions, they won 5 Gold, 3 Silver and 4 Bronze medals, with 2 athletes fighting for Bronze (5th place). Gold medals went to: U/13yrs - Nathan Katz U/42kg, Karen Da Silva U/40kg; U/16yrs - Kevin da Silva U/42kg, Nik Zellner U/60kg, Alex Snoek U/66kg; former club member Morgan Endicott-Davies also won Senior Men U/90kg and Janelle Shepherd Senior Women U/70kg. Silver medals went to: U/13yrs, Kane Glavicar U/30kg; U/16yrs - Shaun McDougall U/81kg; Junior Men - Patrick waite U/73kg; and Bronze medals went to: U/13yrs - Luke Glavicar U34kg; Seniors - Chelisa Chester U/52kg, Nikola Pejic U/73kg, Chad Trethowan U/81kg. In the 2007 Nationals, 15 athletes competed in 16 Divisions. The club's NSW representatives won 4 Gold and 1 Silver Medal. Gold medals went to: in U/16yrs - Shaun McDougall U/81kg, Nik Zellner U66kg, and in U/13yrs Nathan Katz U/42kg and Karen Da Silva U/48kg. Silver medal went to U/16 - Kevin Da Silva U/46kg. The year was highlighted by the introduction of the NSW Teams League Competition which launched our purple and green Team Budokan judogis. In the finals on 30th November 2007 at Olympic Park, Budokan defeated both Kugatsu and the Uni of NSW Judo Clubs to win the competition. Team Budokan was: Karen Da Silva, Jake Young, Shaun McDougall, Andrea Koltai, Nikola Pejic, Andras Koltai, Patrick Waite, Jovan Pejic and Guido Scholtz. Sadly, the JFA(NSW) has not run the event since 2007. In 2008, we had 18 athletes compete in 23 divisions winning 4 gold, 1 silver, and 8 bronze medals representing about 1/5 of NSW’s total medal tally and 1/5 of NSW’s gold medal tally. Senior Gold medals to Andras Koltai, the first senior gold medal since 2005, Bronze Medals to Jake Young and Nikola Pejic, Under 20 years Bronzes to Jake Young, Kevin Da Silva and Nik Zellner, U/16 years Golds to Kevin Da Silva; and a Bronze to Nathan Katz, Under 13s Gold medal to Karen Da Silva and Naomi de Bruine, Silver to Josh Katz, and Bronze to Cameron Leishman and Aidan Sandri. Nik Zellner won a Bronze medal at the OJU competition in Junior Men, Jennifer Purcell won the U/57kg Senior Women's Category at the Intervarsity Championships and Dale Keogh continued her dominance at Masters with 2 Gold Medals at World Masters and 3 Silver medals at the Pacific masters. Brian Medbury make a comeback to Masters with a silver in the All Grades Masters. We had 6 teams represented at the NSW Teams event with 1st place in 3 divisions, 2nd place in one division, and 3rd in one division. In the 2008 ACT Open15 athletes competed in 18 divisions with 3 gold, 6 silver, and 4 bronze medals. In the 2008 Queensland Open 10 athletes competed in 14 divisions with 5 Gold, 3 Silver, 5 Bronze medals. At the 2009 Nationals, 19 of our athletes competed in 24 divisions winning 1 Gold, 4 Silver, and 6 Bronze medals, with 6 x 5th places. Gold medal went to Nathan Katz in U/16s, Silvers to Kendall Lane (U/13), Cameron Leishman and Vanessa Hall (U/16s), and Shaun McDougall (Junior Men), and Bronzes to Josh Katz (U/13 and U/16), Cameron Leishman (U/13), Naomi de Bruine (U/16), Ashley de Bruine (Junior Women), Kevin Da Silva (Junior Men). 5th places went to Madison Lane and Conor Edwards (U/13), Karen Da Silva and Jessica Klajman (U/16), Vanessa Hall (Junior Women) and Patrick Waite (Senior Men). Dale Keogh also won a Silver and Bronze in Kata at the Nationals. In the World University Games in Serbia, Jen Purcell achieved a 9th place. Shaun McDougall represented Australia at the 2009 Junior (U/20) Pacific Rim Championships in Taiwan achieving a Bronze Medal and also represented Australia at the Junior (U/20) World Championships where he was unplaced. Patrick Waite was selected to the OJU World Cup senior team but as the event clashed with University exams, elected not to participate. Budokan entered 10 teams in the NSW Teams Competition which well surpassed the number of teams entered by any other NSW club. Results were 5 wins, 2nd in two, and 3rd in two, with wins in the Junior Boys (U/13), Junior Girls (U/13), Junior Girls (U/16yrs weighted) Teams, and the Masters Men and Masters Women Teams. 2nd place to the Women's A and Girls U/13 B Teams, and 3rd Place to Boys (U/16 weighted) Team and Men’s B (Open Weight, Graded Orange and Green Belt) Teams. The Men’s A (Open Weight, Open Grade) Team just missed out by 3 points in making the final pool. In the 2009 ACT Open17 athletes competed in 21 divisions with 4 x Gold, 3 Silver, and 4 Bronze medals. In the 2009 QLD Open17 athletes competed in 24 divisions with 5 x Gold, 6 Silver, and 4 Bronze medals. In the 2009 NSW Open, 19 athletes competed in a staggering 28 divisions winning 8 Gold; 6 Silver, 5 Bronze medals. Kevin Da Silva was also selected to the Austrlian NTID Squad with Shaun McDougall reserve. 2010 marked the first Judo Nationals in which the previous U/13 years and U/16 years age categories were replaced by the International Judo Federation categories: ie U/14s or 14 years old in the calendar year, and Cadets for 15 or 16 years in the calendar year. Strangle techniques were introduced into Cadets. Junior Men and Women were still up to 19 years old in the calendar year and Senior Men and Women are 15 years old and over in the calendar year. At the 2010 Nationals held in Brisbane over the June long-weekend, Budokan had 19 athletes in the NSW State Team covering 25 divisions: 11 x U/14s, 5 x Cadets, 4 x Junior Men/Women, 5 x Seniors. With both Kerrye and Rob on the NSW Junior Coaching Team this year, these athleses won 15 medals: 5 Gold, 3 Silver, and 7 Bronze medals with another 3 competing for Bronze (ie 5th). Gold medals this year went to to Kendall Lane, Naomi de Bruine, Josh Katz (14s), Nathan Katz, Jess Klajman (uncontested) (Cadets), Silvers to Aidan Sandri, Jess Klajman (Cadets) and Shaun McDougall (Junior Men), Bronzes to Kiernan Tafft (14s), Hamish McDougall (Cadets), Vanessa Hall (Junior Women), Nathan Katz and Jake Young (Junior Men), and Patrick Waite (Senior Men and Open Men), 5th places to Amber McIndoe (14s), Jakob Edwards (Cadets) and Jake Young (Senior Men). Dale Keogh also won 2 x Silver medals in Kata (Katame-No-Kata and Ju-No-Kata) at these Nationals. In the 9 National Championships in which Budokan has been represented since 2002, 154 of our athletes competed in 191 divisions and achieved 117 medals: 44 Gold, 22 Silver, and 51 Bronze medals, plus 29 x 5th, 21 x 7th, and 6 x 9th placings.In the 9 National Championships in which Budokan has been represented since 2002, 154 of our athletes competed in 191 divisions and achieved 117 medals: 44 Gold, 22 Silver, and 51 Bronze medals, plus 29 x 5th, 21 x 7th, and 6 x 9th placings. 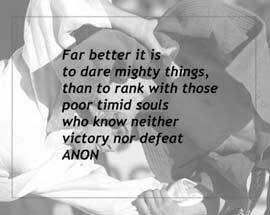 In the 2010 ACT Open with 19 athletes in 22 divisions: 10 x U/14s, 4 x Cadets, 5 x Junior Men/Women, 3 x Seniors, the club’s representatives won 4 Gold, 5 Silver and 8 Bronze medals. In the 2010 Queensland Open 17 athletes competed in 20 divisions: 8 x 14s, 4 x cadets, 4 x Junior Men/Women, and 4 x Seniors, winning 5 Gold, 7 Silver and 2 Bronze medals. 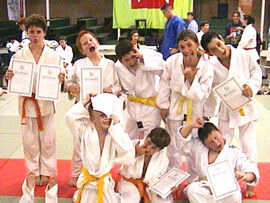 This was capped off by Josh Katz winning the best Junior award and Budokan coming second (to Ohori Brisbane) as the best overall performing club of the competition. At the 2010 Auckland Open (NZ) our 4 representatives competed in 6 divisions: 1 x cadet, 2 x Junior Men, 3 x Seniors, with 1 Gold medal, 2 Silver medals and 2 Bronze medals as follows: Jake Young won a Gold medal in Junior Men and a Bronze medal in Senior Men, Nathan Katz won Silver medals in both Cadets and Junior Men; Patrick Waite won a Bronze medal in Senior Men and Michael Stubley was unplaced in Senior Men. At the 2010 NSW International Open, Budokan was represented by 19 athletes who competed in 22 divisions: 11 x U/14s, 3 x Cadets, 4 x Junior Men/Women, 4 x Seniors. These athletes won 4 Gold, 4 Silver and 4 Bronze medals and Nathan Katz was presented with the "Rising Star" Cadet / Junior Man/Woman award. As far as international representation went in 2010, it was a BIG year: 6 of our athletes represented Australia at the 2010 Oceania (OJU) Continental Union Championships: Nathan Katz, (Cadets - Gold Medal and Junior Men - Silver Medal), Jessica Klajman (Cadets - no division; elected to compete in Junior Women but was unplaced), Hamish McDougall (Cadets), Vanessa Hall (Junior Women - Silver Medal), Jake Young (Junior Men - Silver Medal), Shaun McDougall (Junior Men) and also Patrick Waite (Reserve Senior Men). 3 of our Junior (U/20) athletes were selected to the Junior World Championships in Morocca, Africa: Nathan Katz, Jake Young and Shaun McDougall. It is a first for the club to have 3 athletes selected to the same World Championships. All of these athletes were ranked #2 and were therefore unfunded making the trip to Morocco difficult to bring to a reality. Dale Keogh won a Gold and 2 x Silver Medals at the World Masters Championships in Canada. Nathan Katz and Jake Young were selected to the 20 strong Australian NTID Squad with Vanessa Hall reserve. 2010 also saw Budokan awarded the "Junior Development Club of the Year" by the JFA(NSW). Vanessa Hall, Jake Young, Nathan Katz, and Naomi de Bruine were finalists in individual categories (Junior Women, Junior Men x 2, and Junior Girls), with Josh Katz and Nathan Katz winning the Junior Boys and Cadets categories, respectively. Cameron Leishman won the Junior Coaches Award, and Nathan won the inaugural "Sue Williams" Award for 2010. In 2011, 23 Budokan athletes competed in 30 Divisions at the Nationals winning 4 Gold, 8 Silver, and 5 Bronze medals with 3 x 5th placings. Gold medals went to: Sam Beedham in Junior Boys, Kendall Lane and Josh Katz in Senior Boys/Girls, and Nathan Katz in Cadets. Silver medals to: cameron Leishman in Senior Boys, Amber McIndoe, Naomi de Bruine and Jakob Edwards in Cadets, Jessica Klajman, and Nathan Katz in Junior Men/Women, and to Nathan Katz and Jake Young in Senior Men. Bronze medals went to: Saskia Brothers and Xavier Tafft in Junior Girls/Boys, and to Naomi de Bruine, Jake Young and Shaun McDougall in Junior Men/Women. Kiernan Tafft, Kyle McIndoe (both Senior Boys), and Simmy Waraich (Senior Women) forught for Bronze medals to take 5 place. 2011 was also a big year with representations in the Australian Team to the OJU Championships in Tahiti as follows: Amber McIndoe (Cadet - Bronze), Jakob Edwards (Cadet - Bronze), Nathan Katz (Cadet - Gold, Junior Men - Silver) and Shaun Mcdougall, Two 2 athletes were selected to the Junior World Championships in South Africa: Nathan Katz and Jessica Klajman, but elected not to participate. Nathan Katz, Jakob Edwards and Amber Mcindoe were selected to the Cadet World Championships in Kiev Ukraine, with Amber electing not to participate. Rob travelled to Kiev to help coach Nathan and Jakob and the other Australian team members. Nathan Katz and Jake Young were selected to, and participated in the Senior OJU World Cup in Samoa. Nathan was also reselected to the NTID Squad and trained in Strasbourg with the Squad during 2011. Nathan Katz and Vanessa Hall were selected to the "final 30" AIS Camp for NTID selection with Vanessa withdrawing to get her knee repaired. Nathan was selected to NTID. 2011 was also a very big "Club" year for us as Budokan was awarded the NSW Club of the Year by JFA(NSW), a fantastic achievement by the athletes and the entire support crew of the club. Budokan had "final 4" representation in 8 of the 10 available individual categories: (Nathan Katz - Senior Men, Junior Men, Cadet Boys), Naomi de Bruine (Junior Women and Cadet Girls), Jakob Edwards (Cadet Boys), Josh Katz and Cameron Leishman (Senior Boys), Kendall Lane (Senior Girls) and Sam Beedham (Junior Boys). Category wins went to Nathan Katz (Cadets), Cameron Leishman (Senior Boys), Kendal Lane (Senior Girls) and Sam Beedham (Junior Boys). Gold medals went to: Xavier Tafft (Jnr Boys), Kendall Lane (Snr Girls), Kyle McIndoe (Snr Boys), Josh Katz (Cadet Boys), Naomi de Bruine (Cadet Girls & Jnr Women), Nathan Katz (Jnr Men), and Kiliane Beunard (Snr Women's Open). Josh Katz and Cameron Leishman also won their divisions in the first Australian Youth Olympic Festival (AYOF) selection event held in conjunction with the Nationals. Silver medals went to: Maddison Edwards (Jnr Girls), Katelyn Boyd (Snr Girls), Conor Edwards (Snr Boys), Josh Katz (Jnr Men), Kiliane Beunard (Snr Women), and Naomi de Bruine (Snr Women). Bronze medals went to: Madison Lane (Snr Girls), Kiernan Tafft (Snr Boys), Amber McIndoe (Cadet Girls & Jnr Women), and Cameron Leishman (Cadet Boys, Jnr Men & Snr Men). Kyle McIndoe also won a Bronze medal in the first AYOF (Cadet) Selection event. 5th Places went to: Zach Colman (Jnr Boys), Sam Beedham (Snr Boys), Amber McIndoe (Snr Women), Vanessa Hall (Snr Women), Nathan Katz (Snr Men), and Jake Young (Snr Men). Conor Edwards also placed 5th in the first AYOF (Cadet) Selection event. Unfortunately 2011 Bronze medallist Saskia Brothers fell ill on Sunday night and could not compete on Monday. Lachlan Brothers won his first match but lost his repechage matches in a very large division placing him 9th. Other Budokan athletes who represented NSW at the Nationals were: Alex Djamirze, Amber Rudgley, Liam Stewart, Aidan Sandri, and Jakob Edwards. In effect, Budokan contributed 1/4 to the NSW total Gold medal tally and would have ranked 4th as an Australian State on this basis. In terms of total medals, Budoan contributed just over 1/5 of NSW's total tally, which is really quite spectacular, given that the NSW Team was by far the best performing at the Nationals. On thast basis, Budokan would have ranked 5th as an Australian State. The Budokan coaches have high expectations for our future representation at National, OJU, World Cup, World Championship and Olympic Games levels in the future. With the talented and dedicated athletes that we have training together, our future looks bright. Budokan’s Mission is “to provide international standard quality training, to encourage participation in Judo activities in the community, specifically in the local area, and to preserve the traditional spirit and intent of Judo”. The club’s Vision is “to be recognised in the Judo and general communities as the premium Judo training centre in Australia.” With the club’s development and consistently improving participation in all events and its achievements over 10 years as described above, Budokan is well on the way to achieving its goals. For further information on Budokan Judo Club, please contact either Rob or Kerrye.